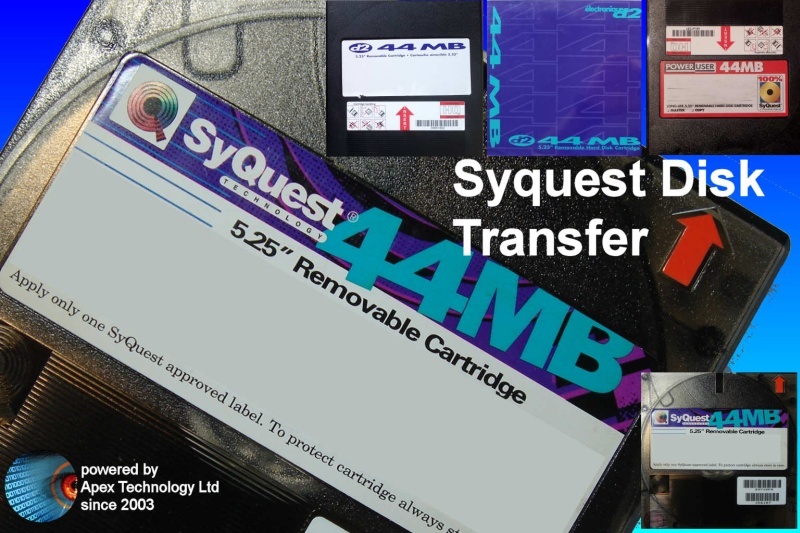 If you need a Transfer 44mb Syquest hard disk cartridge files service, then contact our friendly company. 44MB Syquest disk file transfer to CD DVD USB. The disks can be transferred from Apple Mac OSX Windows PC DOS, and files converted and copied to open in Microsoft Applications or other software. These disks can be read by 88mb and 200mb drives.